This lid removing star flower chimenea will provide you with the perfect weekend in your outdoor space. It comes complete with a cooking grill permitting you to remove the top section to cook some snacks on for yourself and others! 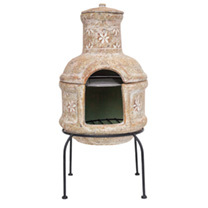 It comes with a tall 4 legged stand to allow you to remove the chimenea off the ground for easier use. Not only is it perfect for family gatherings but it will add style to your garden or patio leaving you with plenty of compliments when you have people visiting as it makes a great feature! Not only does it come with a cooking grill it also comes with a lid for when it is not in use. Traditional design meets added functionality - an instantly natural feature with the benefit of a grill. 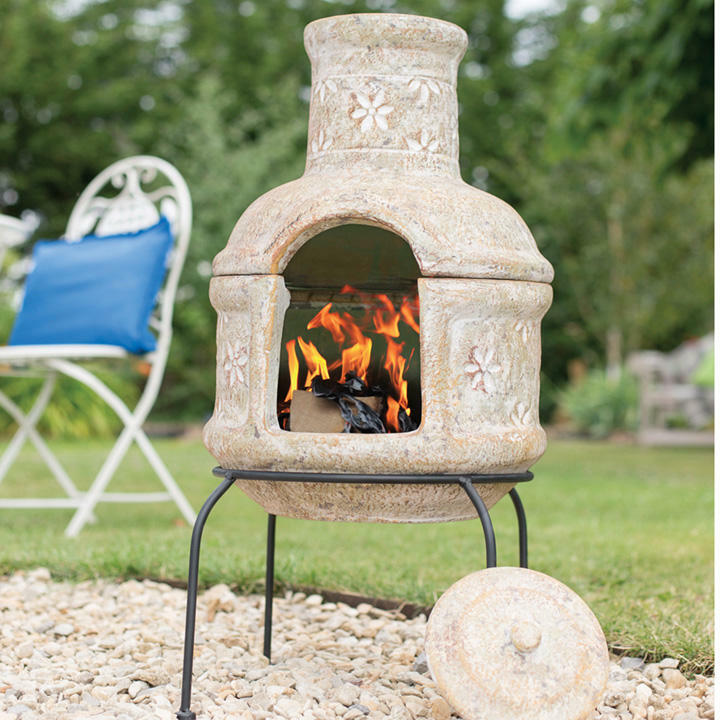 With the help of La Hacienda, create BBQ style food then enjoy the radiant glow emanating from the mouth of the Star Flower chimenea. 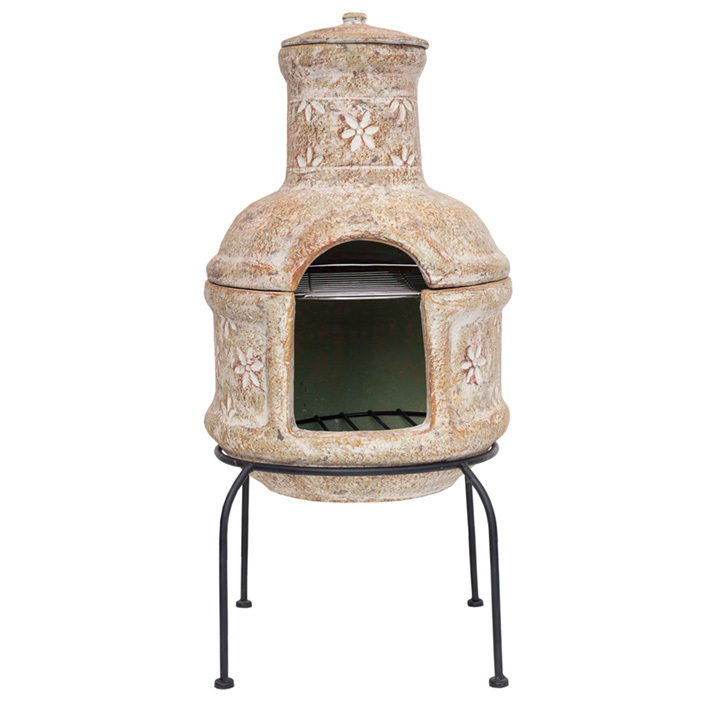 Hand crafted from clay using traditional techniques, the Star Flower chimenea with grill features a subtle decorative pattern around the body and flue whilst a solid steel stand will help it stay rooted in place. Turn up the heat in your outdoor space and entertain friends and family in a unique way. Height 75cm x diameter 36cm.